What fun it is to have girls who like to have tea parties! We invited out friends over for an outside garden party, complete with finger sandwiches, mini cupcakes, fruit, and of course tea (well, iced tea). 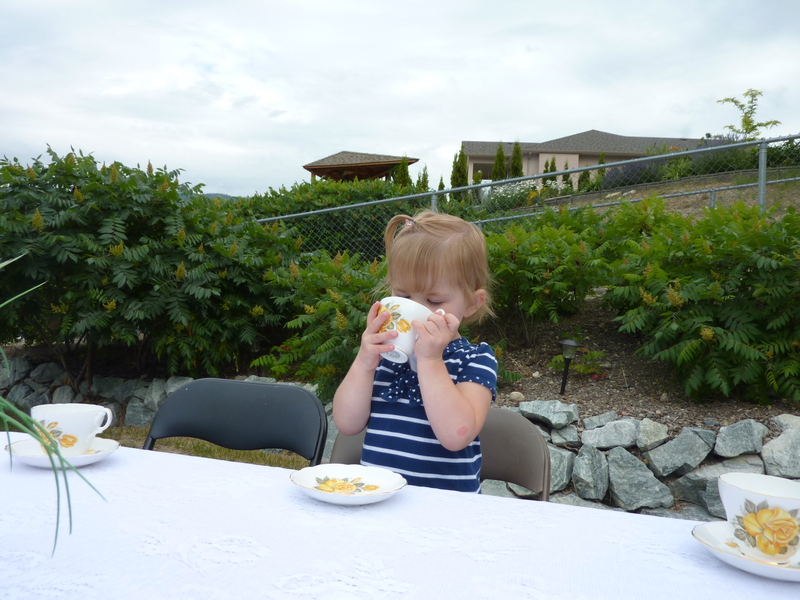 I brought out the lace table cloth and fine bone china cups and saucers for a fun play date. The weather, however, did not cooperate. The party ended up inside due to rain, but it didn’t matter at all for the kids, they loved pouring their own tea and munching on the goodies. What great fun!